Updated Tuesday November 13, 2018 by Beth Jones. 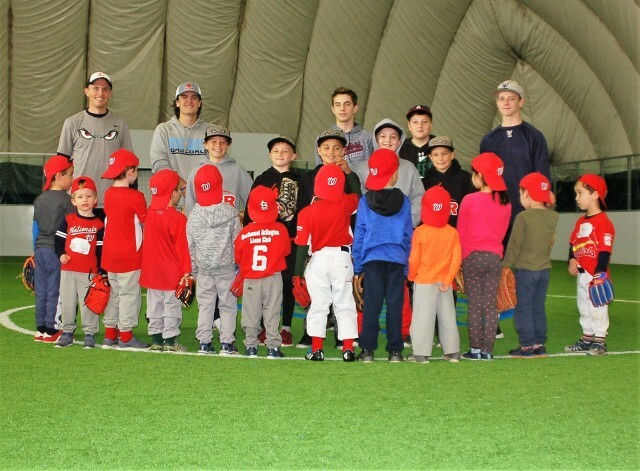 Arlington Babe Ruth Baseball hosted its fourth Turkey GO-BALL mini camp on the Veterans' Day school holiday. Campers had a chance to scoop up ground balls, swing for the fences, and the fan favorite--practice diving back to base! The day ended with a ball game, of course, complete with an umpire and announcer. Head coach, ABR president, J.P. Cooney, rounded up assistant coaches who represent three high school baseball teams and who were former ABR players. ABR Storm travel team players assisted by demonstrating skills, cheering and encouraging baseball team building and good sportsmanship. Check out all the fun in the photo album through the tab at the top of the home page.